We did quite a bit of research before selecting the greater Queretaro area to relocate to. One thing we did not look into was what are the local food specialties? Call it dumb luck but we were fortunate enough to stumble onto some fairly remarkable local delicacies, most notably carnitas and barbacoa. Santa Rosa Jauregui, which is at the foot of the mountain we live on, is home to some of the best Carnitas in Mexico. The restaurants along Independencia, the main thoroughfare through town spills out onto the sidewalk and sometimes right into the street. The enormous steel pots (cauldrons really) first gently confit the huge cuts of pork in its rendered lard in the morning. Later in the day, when you select the parts you would like to eat, they chop up your selection and toss it back into the lard, this time at a higher temperature to crisp up the bits for tacos. 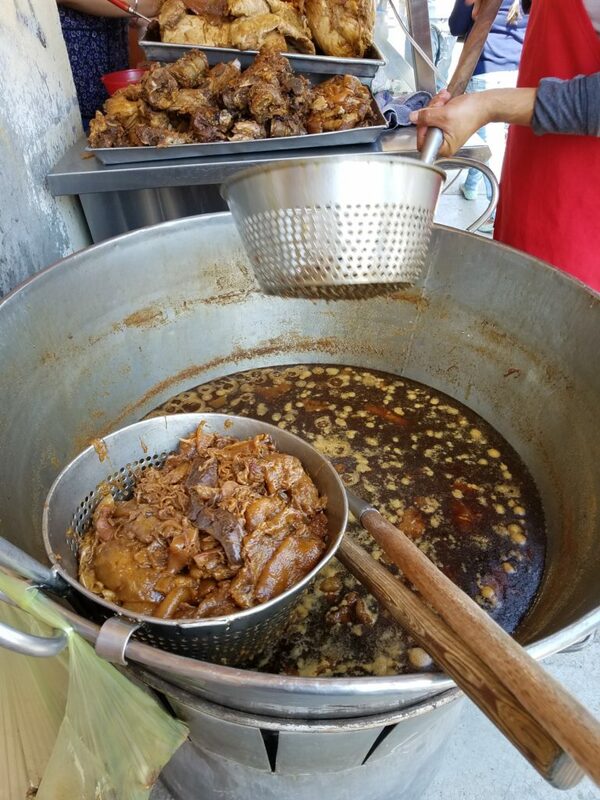 Carnitas are fairly straightforward in this part of Mexico, Cumin, Garlic, Oregano, salt, pepper and perhaps some fresh squeezed orange juice are all that seasons the meat. There is no finishing with condensed milk as is often practiced in other regions. 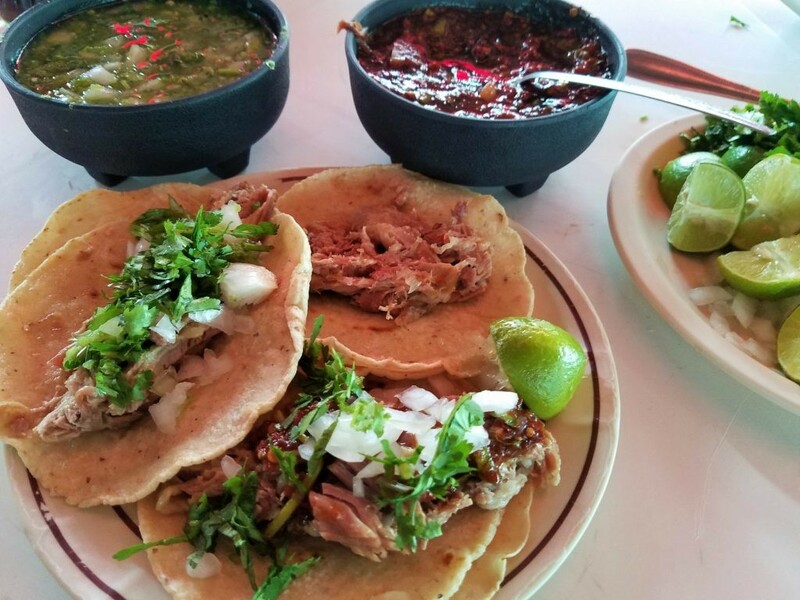 The twice-cooked pork is served up with fresh, hand-made corn tortillas, an assortment of salsas (usually red in Santa Rosa) and occasionally Rajas (pickled carrots, onions and chili peppers, usually jalapenos). You can and should specify what part of the animal you want and your preferred cut size as the smaller the chop, the crispier the pork. A kilo (2.2 pounds of meat) with all of the accoutrements will run you about 180 pesos, or about $9 USD. Barbacoa on the other hand is made with a variety of meats and in a variety of styles. Unlike Barbecue in America, smoking is not part of the equation. Long, slow cooking is the one tread that unites the two. Down the road from us about ten miles, Barbacoa would be beef braised in pulque, the agave wine that is distilled to make Tequila. 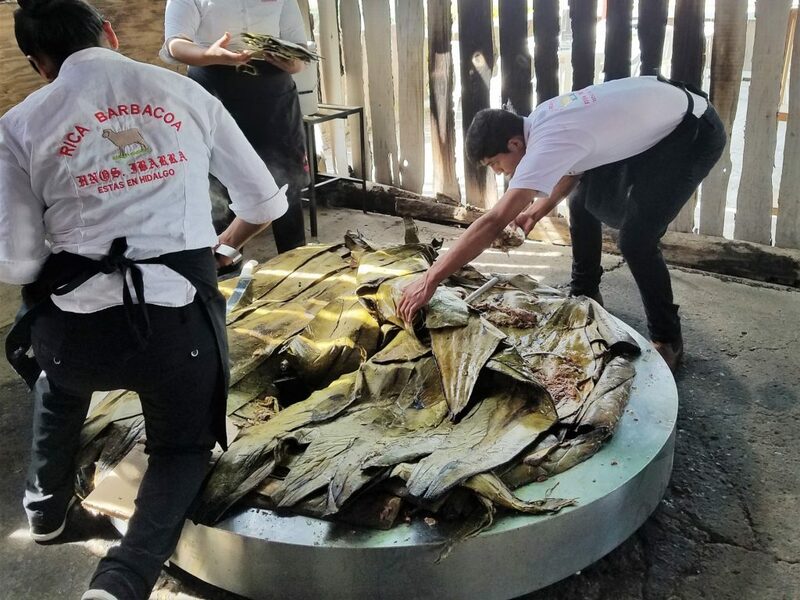 But in our little enclave in Northern Queretaro and also in the state of Hidalgo to our East, Barbacoa is Lamb or Sheep (Mutton) wrapped in Maguey leaves, lowered into brick pits in the ground and cooked overnight with a sealed top that insures “fall off the bone” tenderness. They place a pot under the cooking lamb and collect all the juices which is turned into consommé that you enjoy before your tacos. Like Carnitas, you should specify which part of the animal you would like your meat to come from. Ribs are delicious and very tender but also pretty fatty. Legs offer the leanest meat but many of the locals consider meat from the neck to be the most flavorful. 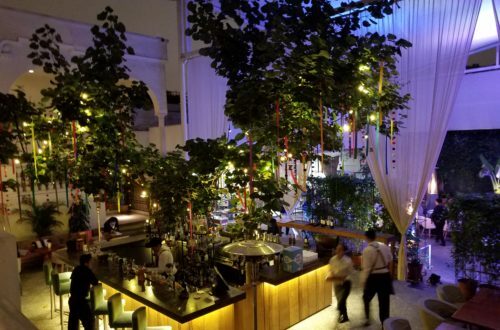 We really like Rica Barbacoa on Paseo de la Republica just north of the Modelo brewery. 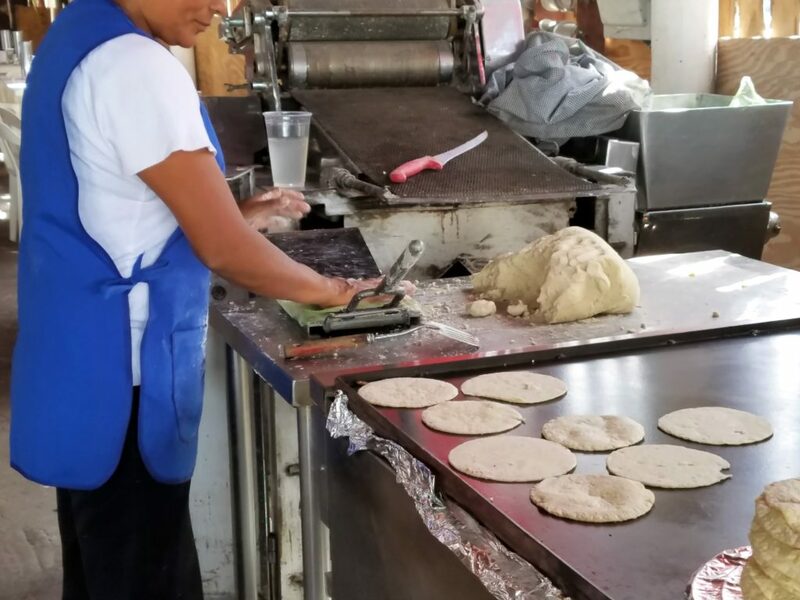 Their tortillas are made fresh to order (sometimes blue and sometimes yellow depending on what masa is available) and the lamb is chopped when you make your selection. The tortillas are slightly thicker than usual and they give you two for each taco (It is really tempting to take the unneeded extras home because they are so damn good). They have a red salsa (medium), green salsa with tomato and avocado (hot) and a straight green (very hot). Tacos are served with Mexican limes, chopped onion and cilantro. They give you a generous amount of lamb for $22 pesos per taco or you can order in bulk to go. 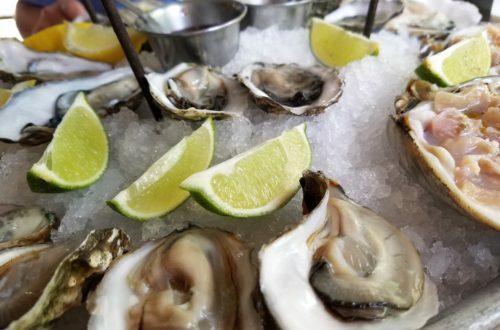 Although we find that eating food this rich for several days in a row can be burdensome, that doesn’t stop us from craving it a couple of times a month. Because of the labor intensive preparation method of Barbacoa, it is usually only served on the weekends. 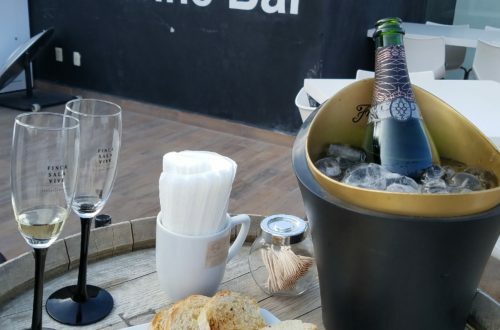 Most restaurants are only open from about 7:00-15:00 on Sábado and Domingo. We literally “lucked into” two of the most delicious taco meats in all of Mexico right here within a couple of minutes of our house. I would rather be lucky than good any day of the week! What an amazing post. I read your article. You write a very good post with beautiful photographs. Thank you! Tom is the foodie expert and I’m the photographer.